I can't help myself. I love reading previews, hearing just released news, peaking at brand new screenshots, and watching in-depth game trailers. Many would say it's not a problem, but lately I've been wondering if the pre-release info dump that comprises most of gaming news has diluted that sense of wonder of experiencing a game for the first time. Recently, I was moved and inspired by a YouTube video of a child seeing rain for the first time in their life. Simple and not particularly dramatic, I know, but it got me thinking about that sense of wonder you feel when you experience the good things in your life that you've never encountered before. It's thrilling, exhilarating, and magical. It made me think about games and that feeling I get when I first begin to explore a world I've never been to, or when I see and learn about something in the game's world I didn't know before. It lets out the child in me. So many blind jumps led to endless hours of splendor for me. One example is when I first started World of Warcraft in its vanilla stage. I spent hours just running around exploring the world. I wanted to see what there was to see; I was only level 10 and died many times in the name of exploration. Anymore, though, it seems that when I pick up a new game to play, I've already read up on how it plays, seen what the world looks like, and watched other people play it. I've done my thorough research and deemed it worthy of my purchase. Though I've possibly saved myself the unpleasantness of spending hard-earned money on something I won't like, I've also cheapened the game's experience for myself. This day and age it's hard to throw caution to the wind and just pick up a game that 'sounds cool'. Because of this I start to long for the old days when the only ways to even learn about a game was to read a magazine, hear about it from a friend, or go to the store and see it. The internet has helped push the gaming medium, but it has also made it more and more difficult for a publisher to gain public interest in their product without revealing almost every spectacle and detail. It's hard, I know; $60 for a brand new game? The smart buyer should do their research or that's a supreme waste of funds, and it's not like the sellers are helping you out by not allowing returns of opened games. Plus, you can always 'experiment' with a game when it goes on sale somewhere for an insanely low price. I understand why people do it, I do it myself. I wish it were different, though. I wish that starting up a brand new game was like seeing rain for the first time. I wish I could control myself enough to not indulge in all the pre-release hype offerings, but it's there and I can't. Rain? What's rain? Sure I'd love to see what it's about before I just go running around in it. Here, try the demo. It's not something that can really change, unless I change it for myself. But we're in the business of knowing and curiosity is the largest driving factor of my life, so how do I get around this? I can't. I want to, but I don't. I'm not going to just turn away from it. The old days of reading about how a game plays and maybe seeing a few screenshots here or there are gone. No more reading a preview and having your vision of the game play out, the same way a book's story fuses together in your mind. This is the information age and if you don't want the information then you have to stay off the internet. I can't do that… I just can't, but I will always long for the old days. 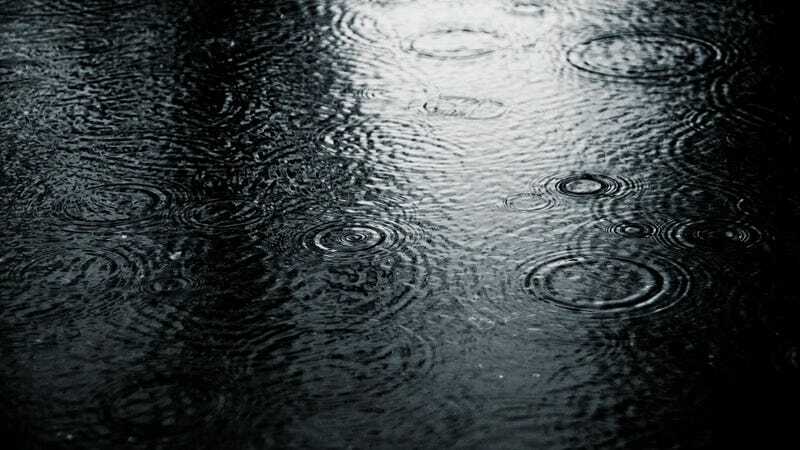 Stepping out into the rain and feeling the wet drops cascade down my face, smelling the air and breathing in like it's my first breath, hearing the peaceful patter of the raindrops dance along every surface. You can contact Patrick on his website or find him on twitter @mr_patrickallan.